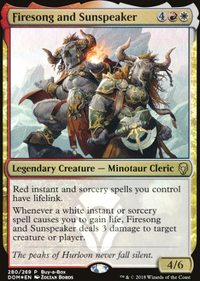 i wanted to go gruul at first, but i like mid-range for ths plan better, it opens up some room for interaction. I may have to take a few stabs at this one and may go more jund, About Face and Inside Out with Slagwurm Armor or Cathar's Shield was al stacked up in the "I don't think so" pile. Another About Face perhaps like Mannichi, the Fevered Dream? The deck is Judge. The issue at hand is what is a better source of life-gain? Should I switch in Daru Spiritualist, Warrior en-Kor, Nomads en-Kor, and Transmutation for Gravecrawler, Reassembling Skeleton, Tidehollow Sculler, and Bog Initiate? The group already in the deck uses Ashnod's Altar to produce infinite entering/leaving the battlefield triggers to abuse the soul sisters. 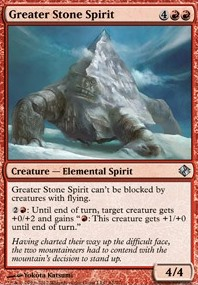 The group I'm thinking about switching in uses the ability of the en-kor to target daru spiritualist (no damage actually has to be in play apparently, these cards are the engine of a somewhat popular pauper deck that uses About Face or something similar for infinite damage) which I then sacrifice with Ayli, Eternal Pilgrim or Starlit Sanctum for infinite life. I guess the question I have is which group of cards offers the better synergy with the deck while I assemble pieces, and which combo is more reliable or powerful? I know it's reliant upon the right draws, but have you considered Putrid Imp or Tireless Tribe as low cost card discard options? And with Tribe you can work in About Face & Fling from the sideboard. Tribe is an added color, so it may not be your speed, I suggested from an idea I have that's similar to this. This is / . 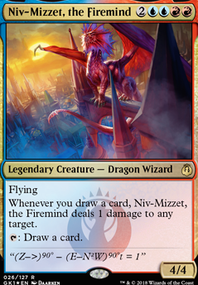 Power/toughness switching effects are historically in blue and occasionally in red (Crookclaw Transmuter, About Face, Wandering Fumarole, Twisted Image come to mind immediately), and with the randomness of the last effect, this card is definitively / . 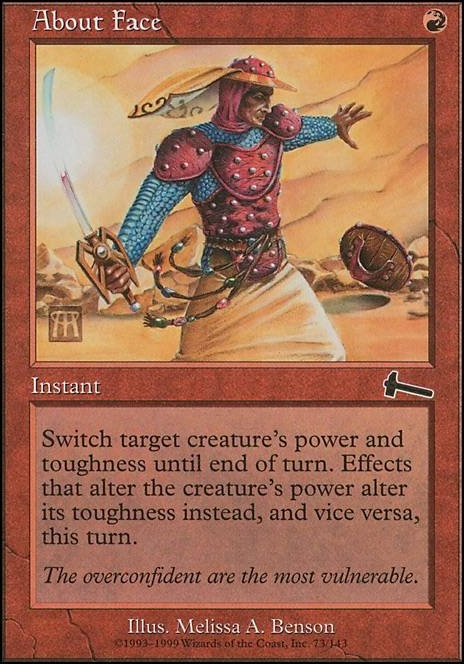 Also, Boza, there has never been a card that switches power and toughness in green-at least that I could find. Twisted Image > About Face.